Methodist Church of Fiji President Rev. Dr. Epineri Vakadewavosa during the welcoming church service for the Annual Methodisty Church Confrence meeting at the Centenary church on August 19,2018.Photo:Simione Haravanua. The Methodist Church in Fiji and Rotuma, the country’s biggest Christian denomination, is reeling from a serious membership decline, it has been revealed. Its president, Reverend Epineri Vakadewavosa, yesterday disclosed that in 2014 the Bureau of Statistics said the church membership was more than 300,000. He said when the church updated its records at the annual conference the same year, it found that it stood at 198,000. Since then it had dropped to 194,000, he added, even though the Bureau of Statistics still maintained it was more than 300,000. He said the decline was a huge challenge for the members to address. Reverend Vakadewavosa made the statement while delivering his sermon at the Sunday service at the Centenary Church in Suva. From left Rev.Dr.Jolami Lasawa,Rev. 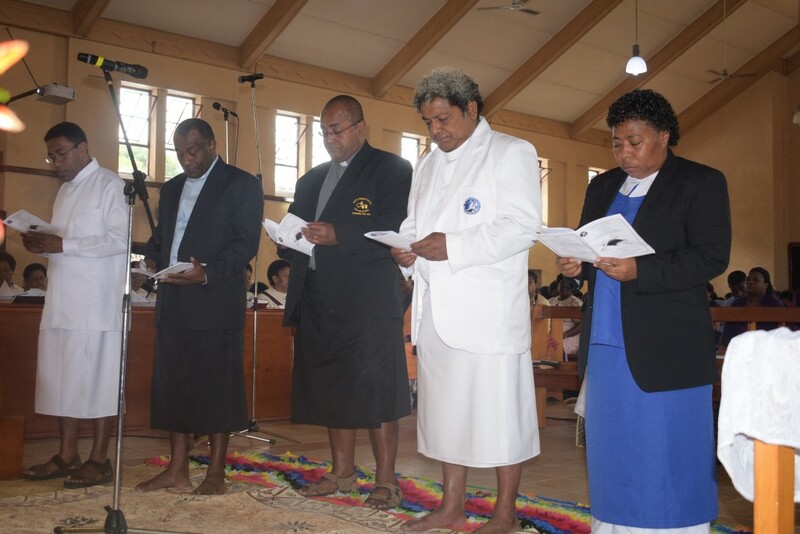 Sitiveni Kua,Rev.Sailasa Tukana,Rev Jone Marika and Deconese Salaseini Watisovea during the annointing church service at the Annual Centenary church on August 19,2018.Photo:Simione Haravanua. He said they needed to find out what caused the decline. He asked the members what they were missing in their fellowship today that was causing the decline. “Today, I stand as the president of the Methodist Church and tell you so that you can see the challenges we are going through,” Reverend Vakadewavosa said. It is understood that this will be one of the topics of discussion when the church’s annual conference begins in Suva today. It is generally well known that Methodists have joined other Christian churches, a significant group breaking away to form the New Methodist Fellowship, a church that is rapidly growing. It is understood that members, especially the young, have been leaving because they are attracted to the other churches by the use of musical instruments and modern music to liven up their services. Some years ago, a movement started within the church, to try to modernise church services through music under its evangelical arm. The youths were targeted, but progress has been slow. This could be caused by resistance from the older clergy who prefer the traditional choir singing without musical accompaniment. 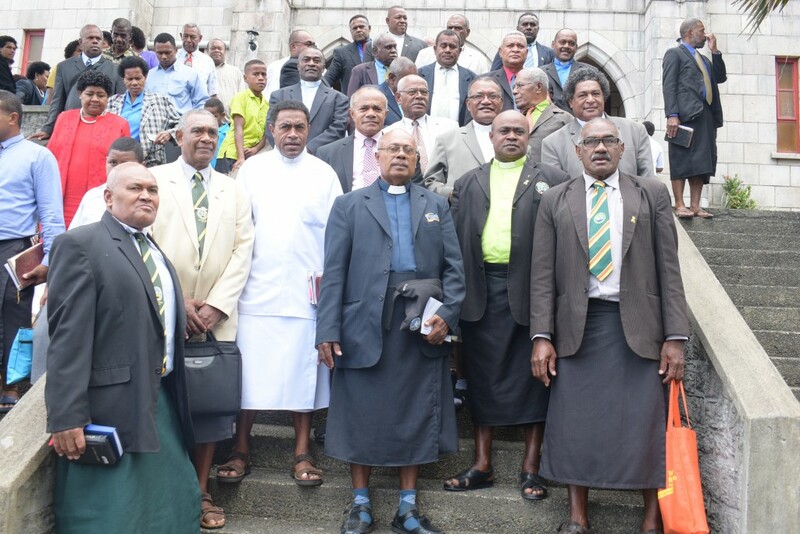 The Reverends from around Fiji that will be participating at the Methodist Church of Fiji confrence meeting next week.Photo:Simione Haravanua. A vision for the future growth of the church. Reverend Vakadewavosa said Christianity started on a growth path. “It must continue to grow. Jesus called the 12 young men who became his disciples. He trained them for three years. He commissioned them at Pentecost. In Peter’s first sermon 3000 people were added to the church that day,” he said. “That is the starting point of the Christian church. It started from growth at the Pentecost in Jerusalem with 3000 members and continues to grow. “It grew over the century through sacrifice, sweat and tears but despite all the challenges and difficulties the church continued to grow. “Today, according to records, Christianity is reaching almost two billion members out of the six plus billion of the world population. It becomes the largest faith group in the world today and continues to grow. “For your information Methodism started in 1735 and our membership today is 86 million and according to records it continues to grow. “The point I am raising is Jesus Christ started the church of Pentecost in Jerusalem with growth and has grown over the centuries despite hindrances of all kinds, difficulties and circumstances. “But we are called today to see that the church is growing and the church must continue to grow. “Practically speaking there is a serious concern as we realise the decline in membership in other parts of the world today, perhaps through secularism and post-modernism so to speak,” Reverend Vakadewavosa said. 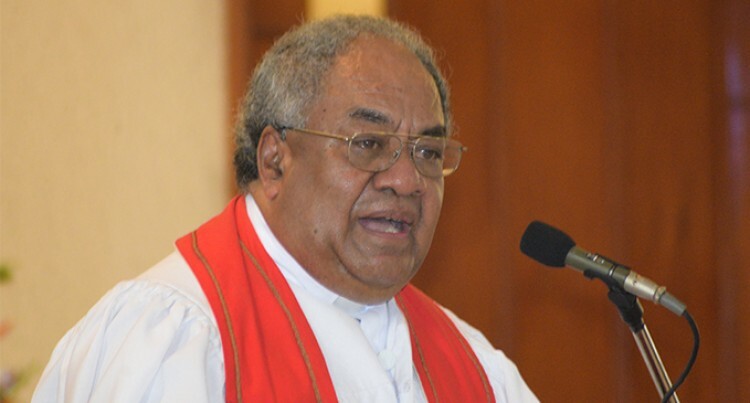 He said Pacific Methodist leaders had been holding meetings to come up with solutions. “We have been deliberating very seriously on how we can best advise our local churches in the Pacific and here at home by designing a way forward in such a way that the challenges of declining membership brought about in the winds of change that we are facing,” Reverend Vakadewavosa said. “That is the significant reason why I am reminding us today that the church started on growth and must continue to grow, but when the church is not growing then we are in a very serious dilemma that needs to be addressed once and for all. “The very basic question which I am raising to you today is members of the conference and Christian friends what can we do to bring about growth in the midst of all hindrances, challenges in what we call as powerful impact of secularism and post-modernism, which our church today is facing. “I challenge you all today that we must all recapture that explosive growth of our church at home or wherever we come from so that it can withstand the challenge of the winds of change of the 21st century and beyond,” Reverend Vakadewavosa said. Hundreds of people attended the service. President of the Uniting Church in Australia Reverend Deidre Palmer was also present.